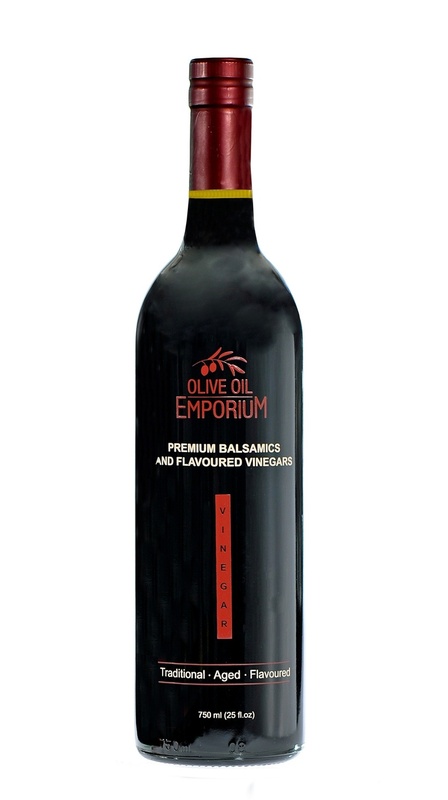 The all natural flavour of ripe pomegranates is perfectly captured in this well-balanced solera-aged balsamic vinegar from Modena. With a touch of sweetness from the naturally present sugars in the grapes and the pomegranate itself, the distinct, yet subtle tartness of the pomegranate makes this an ideal balsamic for those moments where a "less sweet" condiment is desired! Tasting Profile / Serving Suggestions: The intense sweet-tart flavour of the pomegranate is a perfect match for hearty meats like lamb and duck. It makes an exciting dressing whisked in with your favourite olive oil, pomegranate seeds, toasted nuts and feta cheese. Drizzle over poached fruits and ice cream for a simply elegant, flavourful and healthy dessert. A fantastic pair when combined as a dressing with our Blood Orange Fused Olive Oil. A mouthwatering complement to creamy cheeses like brie and camembert!